You learned to tie your shoes a long time ago, and you are really, really good at it. You don’t need any more practice….at least not with your athletic shoes. Your feet stretch, flex, and spread when you move. When you wear athletic shoes with traditional lacing systems, your feet are not allowed to fully articulate. 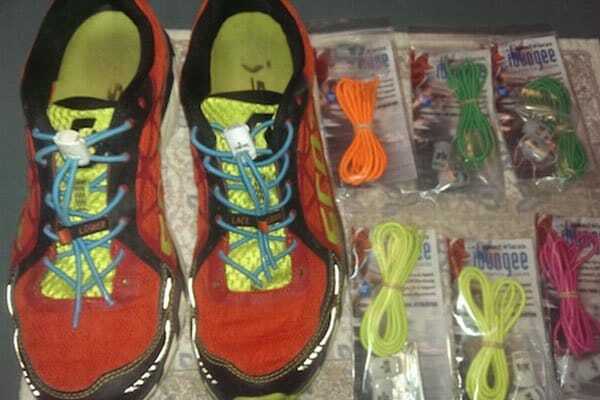 Non-elastic laces force to your feet to conform to the shape of your shoes. That seems silly. iBungee and other manufacturers have produced life-changing technology! I only use elastic laces in my athletic shoes, and they are game-changers. My shoes flex and stretch with my feet to allow my feet to fully articulate as I move. All of my athletic shoes feel more like socks, and I experience very little foot fatigue even with very high training volume. My current source for elastic laces with race locks is ForzaSports via their eBay store. I use the iBungee brand. I use them in all of my athletic shoes…including the shoes that I run obstacle course races in.